October 2018 sees a square from Uranus to the moon’s nodes settling in for five months. This alliance speaks of both positive potential and risk. It may signify sweeping change that cultivates a more innovative and courageous attitude at a personal, local and global level. Or we may end up reacting to life’s challenges blind to their deeper significance, unwittingly retreating to intellectualised theories about the ‘right’ thing to do without embodying those beliefs in a ‘real-world’ way. This relationship between Uranus and the nodes reminds us the future can hang on a single decision as much as it contains infinite potentialities. It affords us the power to impact many lives both near and far, and insists we respect this responsibility bestowed upon us. Uranus is currently tying up loose ends in preparation for its final entry into Taurus in March 2019. It first entered Aries, the previous sign, in May 2010, since which there’s been a certain amount of leeway available for the more impulsive among us. Aries is a fiery energy, fast to act, quick to change, always ready to begin something new. If the first decision didn’t work out let’s try this one, and that one. It doesn’t hang around for the long haul, trying to make something work that’s already crashed on the rocks of misguided impulse. And it doesn’t hold our mistakes against us! Taurus, on the other hand, is far more intransigent, eager to stick on the same path no matter what. Uranus in the sign of the bull is just as impulsive as ever, but the consequences of impetuous decisions and ill-thought through plans will stick around a whole lot longer, their implications pinning us to the spot. So as Uranus prepares for its final entry into Taurus we need to reflect on what restricts our movement and growth. What triggers our impulsive side? What keeps us stuck in old habits that die hard? What behaviours do we repeatedly indulge regardless of how poorly they’ve worked out for us before?! Identifying these now will help us curtail impulsive reactivity and discern what truly needs to change once Uranus begins six unbroken years in Taurus in March 2019, and we can shift those intransigent things we never thought we could. Pluto turned direct in Capricorn on the final day of September, signalling the start of a seven-month period of impactful external change. Daily routines may go awry as institutions fundamental to our way of life flounder. Structures and systems that underpin our lives may be increasingly undermined. Those who seek to misuse the power of public office may regret past arrogance and scramble to make amends, albeit too little too late. The sea change that Pluto enacts in our personal and collective lives is rarely gentle but always necessary. With Saturn now accompanying Pluto in Capricorn, we’ll increasingly encounter the consequences of our resistance to change as much as our desire for it. The next seven months will shift some stubborn ground and reveal further the dark under-belly of ‘respectable’ society, illuminating the shadow forces within and without that perpetuate the reckless exploitation underpinning a world in which money is king and power the ultimate currency. That said, a waning quarter moon in Cancer on 2nd October reminds us that other people aren’t the enemy, even when they are! We can stand firm against injustice without dismissing beyond all hope of grace those who perpetuate it. Divisive politics and disenfranchised people create conflict and war. We have enough of those already. Most people on this planet struggle with the inner forces of ignorance and see through the distorted eyes of an ego under siege. Cooling water is poured on the fires of discord and hatred when we recognise that the very source of our conflict – the ego’s need to prevail at any cost – also unites us. Use this quarter moon to connect with others and create a safe space in which to promote reconciliation and compromise, ready for the new moon in Libra in a week’s time. Venus is retrograde between 5th October and 16th November. This happens only once every year and a half, signalling an important time of reflection and realignment in our capacity for pleasure, our values and our relationships. Venus currently in Scorpio seeks total absorption in the experience of lust and longing. She needs to be overcome by the visceral force of her own desire and consumed by all-encompassing surrender to the desire of another. This Venus yearns to lose herself in tumultuous passion which fosters depth and intensity in her relationships. Retrograding in Scorpio, she emphasises the obsessive nature of desire and illuminates specifically where we identify with and feed off the experience of passionate craving. She reveals where we’re driven by an insatiable need for emotional intensity, creating problematic situations and relationships we just can’t seem to let go. This Venus illuminates where the driving-force of passion in all its forms keeps us hooked into circumstances that diminish our well-being. If we need the ‘juice’ of emotional passion to feel alive we may settle for harmful as much as life-affirming intensity, becoming embroiled in relationships which keep us angry, needy or obsessed. Power struggles may ensue as we invest increasing amounts of energy in people who rile our emotions and matters which ultimately drain our energy rather than feed our spirit. As Venus retrogrades through Scorpio until the end of the month, observe where you get hooked by drama, where you can’t just walk away and leave it be. Ask yourself what’s really going on there and do you want or need to change that dynamic? Maybe you do, maybe you don’t. Only you will know. But as this month progresses, those problematic things we feed off, forever a cause of complaint and yet clung to for dear life, will become increasingly apparent. We may discover surprising and unpalatable truths about how much our identity and sense of self is bolstered by obsessive passion and negative interpersonal dynamics. The ego loves an enemy and as much as we suffer and complain, walking away once and for all may feel like too great a sacrifice. If so, an honest appraisal of why that might be is in order as Venus retrograding in Scorpio sheds light on the deeper motivations at play. A new moon in the 16th degree of Libra at 3:48 a.m. on 9th October signals a good time to wipe the slate clean in any recent conflicts. Just because we’ve clashed with others doesn’t mean we’re bound to be forever at war. On the contrary, we may have far more in common than we know! Human nature is cyclical, moving in ebbs and flows of togetherness and understanding, strife, separation and discord, then back to connection again. Like the heavens in constant motion, nothing remains the same and any notion that people never change simply isn’t true. In an alliance with Neptune and Pluto, this new moon both softens and strengthens our relationships. It supports a compassionate heart and courageous spirit, willing to say the tough stuff with bold love, knowing the truth which sets us free is sometimes the hardest truth of all. In a world that can seem devoid of it, being able to generate love is a mighty act of deceptive power. When Venus, ruler of Libra, is retrograde, self-love is especially important. Not a narcissistic, self-absorbed ‘love’, but a tender and accepting one. Without it we’re dependent upon love from others, on conditional love that shapes us to its own agenda. With it we are sovereign and complete: free to love who we choose, how we choose, whether or not that love is returned. This moon encourages deep reflection upon matters of the heart and an opportunity to align with the rhythm of our own, so often lost amidst the clamour of the world. Pluto squares the Sun between 9th and 15th October, reminding us that high drama and intensity aren’t necessarily the hallmarks of a meaningful relationship. If it can’t withstand the demands of everyday life – the mundane realities that form much of a day – we may be using a relationship to escape life, not to share that life intimately with another. Relationships come in all shapes and sizes. Comparing one to another is largely pointless. But for those wondering where a current connection will lead – Is it what I want? Does it feed me deeply? Is it too serious or not weighty enough? – this alliance may provide some clarity. It is within the alchemical flames of everyday life that we often encounter the most profound challenges and deepest transformation. 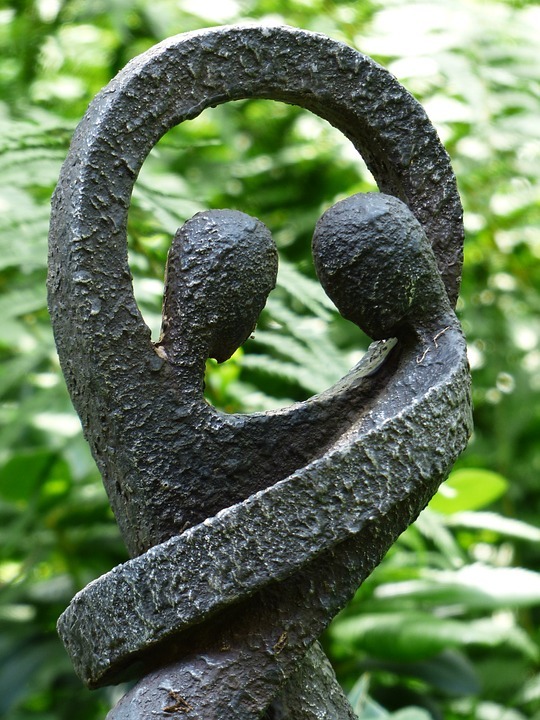 Relationships which can dive deeply into this realm – finding the precious in the midst of every day – can withstand much that life throws at them, strong in the shared rootedness of love. With Venus retrograde supporting all who seek a deeper, more meaningful understanding of love, this square from Pluto to the Sun exposes both the weak points and the greatest strengths of relationship, enabling us to reflect deeply on who we want to share our life with and why. Mercury enters Scorpio on 10th October, remaining there until 31st. Conjunct the Moon and opposing Uranus as it changes sign, this passage of Mercury may uncover emotionally charged issues which trigger instinctive defensiveness or pre-emptive strikes on those we sense are about to plunge in the knife! We may well need to calm down and take a moment to reflect and rewind before we decide who’s the enemy and what’s really going on. Mercury in Scorpio wants more than anything to articulate the truth, but many of its truths are hard to bear. It’s not that it wants to dig at wounds and rake up pain, it just can’t help itself! Its insight can be so incisive that disputes and conflict, misunderstandings and even estrangement are hard to avoid. The onus is therefore on us all to ensure we reap the blessings of Mercury’s insight whilst navigating its challenges with compassionate grace. While Mercury’s journey through Scorpio may test us in the authenticity department, it does bring its own kind of freedom. If we stand firm in the face of its truth, we’ll be strengthened beyond measure. Mercury doesn’t act out of malice. It simply says what it must and moves on. If we feel the sting of exposure or the pain of revelation it shows where hearts need to open and minds expand. Truth rises like a bubble not when we think we’re ready but when it is! Only by encountering its formidable force head on do we discover our capacity to embrace it and move on through. Eris opposes the Sun between 13th and 19th October. She has no compunction about stepping into battle, being unpopular, speaking the unbridled truth that no else will say. She wants us authentic and real, even if that means angry and bitter. ‘If that’s who you are right now, then don’t fight it!’ she says. Her opposition to the Sun in Libra highlights where we try to deny our feelings and impulses. She forces us to look without guile at where and how we suppress our innate and visceral knowing in favour of a politer and more palatable evasion or half-truth. Together with Mercury in Scorpio she creates a formidable and veracious force while the Sun in Libra smooths their harsher edges, not to disguise the facts but to deliver them in a sensitive but relentlessly honest way. If difficult issues need to be addressed there’s much support for honest dialogue here, but those who want only to obscure or avoid may encounter the unremitting force of truths that insist they be told, no matter the consequences. A sextile between Saturn in Capricorn and Venus in Scorpio from 19th to 28th October provides some background support if things (and especially relationships!) are feeling a bit (or very!) intense. Grounding us in the midst of intensity, this alliance helps us enjoy, rather than fear, the process of revelation. The more we can appreciate the inherent beauty of each layer of truth revealed, the easier authenticity becomes. A trine between Jupiter and Chiron from 20th October to 13th November adds additional support to those shifting from the quagmire of stagnant emotion into a lighter and more expansive place of insight. This direction of movement won’t suit everyone. Some will need to shift into emotion and out of the mind, others out of emotion into greater detachment. Only you will know where you need to be and why. But for all who seek truth there is support and encouragement on the journey right now. An opposition from Uranus to the Sun between 21st and 27th October will keep us on our toes and stop us drifting back into bad habits that distance us from life. Uranus currently retrograde in Taurus is all about disrupting just such habits, refusing to let them win. The force of human unconsciousness is unremitting, but so is the current evolutionary impulse to awaken. As Uranus journeys through Taurus in the coming years the balance will shift in favour of the latter as the most intransigent habits of mind, body and spirit come under sustained assault from the forces of truth within and without. This current opposition reminds us we don’t dictate the evolutionary timetable, we are subject to it. We can neither stop it nor force it, but can instead align ourselves with it in total trust. If Uranus trips you up now, with unexpected events that shake you awake, try to rest in that trust rather than fear. Make faith a habit and courage your default setting. And when you can’t do that, resolve to begin again. Old habits die hard, but they do die eventually. As the Sun journeys through Scorpio between 23rd October and 22nd November we can discover precisely which habits are holding us back and resolve to deal with them once and for all. This is an excellent time to commit yourself to living in a different way, to challenging inner voices which insist on a certain perspective you now know to be false. Don’t let them drown out the voice of truth which is gaining in volume by the day. A full moon in the 2nd degree of Taurus on 24th October (16:46 UT) illuminates the power of questioning who we believe ourselves to be. Conjunct Uranus and opposing Venus, it provides the courage to stand strong in the face of self-delusion and denial, exhorting us to look beyond self-deception. This is a moon of profound change and radical disruption of the status quo. It threatens to test even the strongest attachments if they compromise our freedom. Squaring the North Node, this moon can either propel us forward or hold us back, depending upon how we use it. Refusing to budge can be as radical as letting everything go if that’s what circumstances require. Wise discernment is key to managing the energy of this moon and we may well experience its ripples throughout the rest of the month. Things long ripe for change may shift exponentially around this time, most likely just when we’ve gotten used to living with them as they are! Likewise projects we’ve pursued because we thought we should may suddenly seem too burdensome to continue, auguring a return to a simpler life previously sacrificed on the altar of progress. What this moon means for individual life circumstances will of course vary, but the end result can be a powerful and positive recalibration of our energy and intention if we let it. A sextile between Saturn and the Sun from 24th to 31st October provides some more grounding support. What seems like a burden may prove to be far more satisfying as we discover creative ways to access a deeper and more authentic current of instinct and emotion. If the full moon illuminated inner conflicts that we struggle to reconcile, Saturn and the Sun provide the courage and creativity to live in deeper alignment with apparently opposing drives and desires. With Venus conjunct the Sun in Scorpio between 24th and 28th October, accepting the shadow self becomes an act of love which demonstrates the depth of our commitment to fulfilling our potential whatever form it takes. We don’t have to achieve great things, make a name for ourself or develop some amazing new power! The core challenge of life is to simply be who we are without guile or shame: without the denial and suppression that distorts the human drive for expression into something altogether less edifying. As October comes to a close and the Moon begins to wane we are, each and every one of us, called to risk being a bit more who we actually are and a bit less who we think we’re supposed to be. On 31st October Mercury enters Sagittarius where it turns retrograde next month. On the same day Venus retrogrades into Libra. Watch out for next month’s report for more info about them. In the meantime, suffice to say that October ends with a waning quarter moon in Leo which offers solace to egos wounded by the full moon a week prior. Ego isn’t the enemy despite what you may have heard. We need its sense of self and substance, an identity with which to navigate through the world. The key is to know the difference between our conditioned ego identity and our unchanging, unconditioned essence. Being intimate with both allows us to live with greater awareness, equipped to face life’s twists and turns with increasing wisdom and grace.